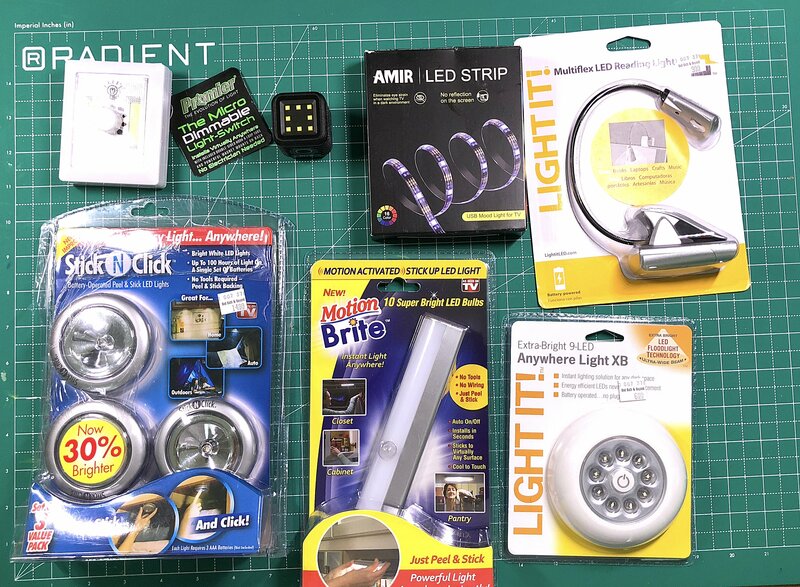 A revolution in LED lighting is occurring now. 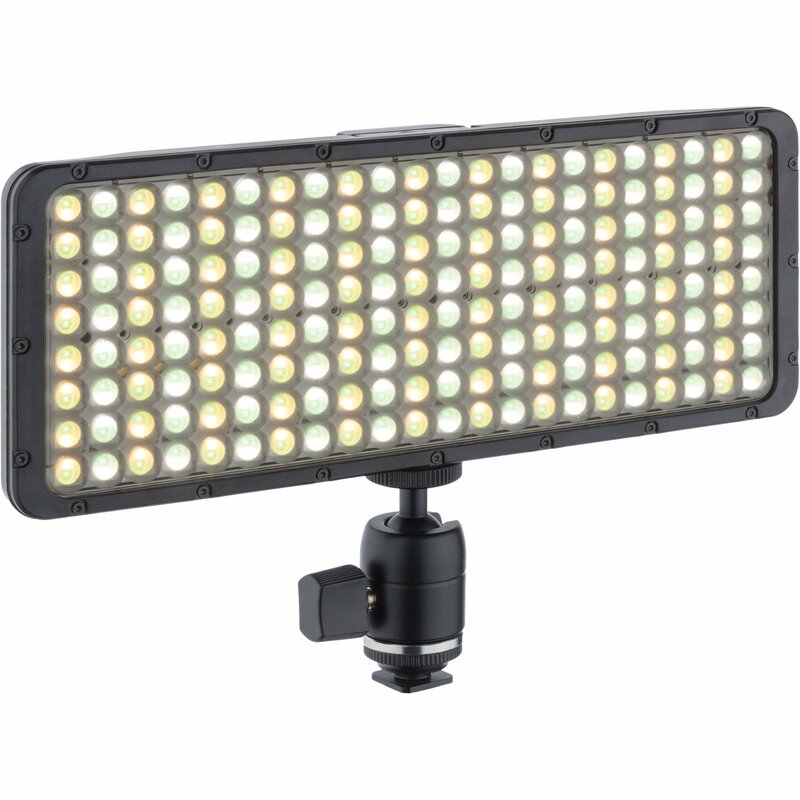 One of the big topics at the major photography show this year was RGB LED lights. 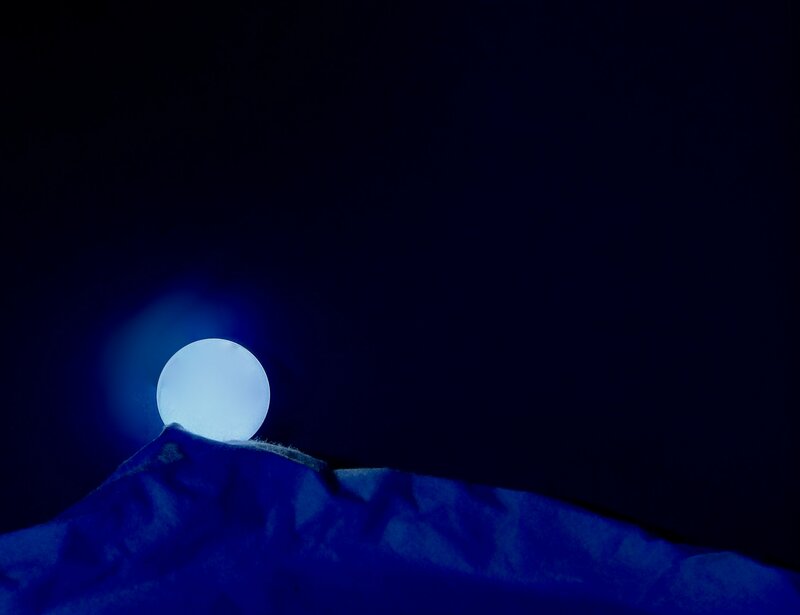 For the first time, photographers and filmmakers have the ability to precisely control the lighting of their scenes. They are no longer limited to using and mixing color temperatures and gels together to create an entire new spectrum of color and effects in their scenes. 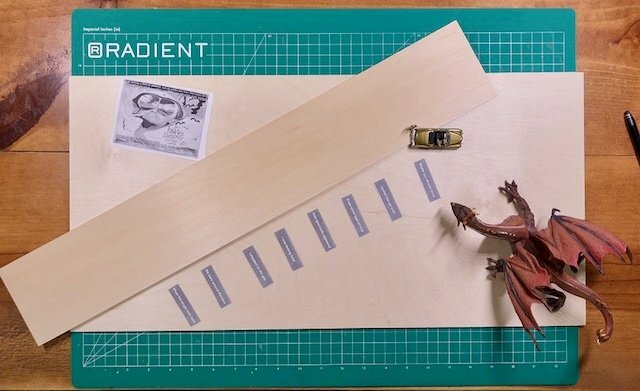 An important new tool for modeling and diorama photography! 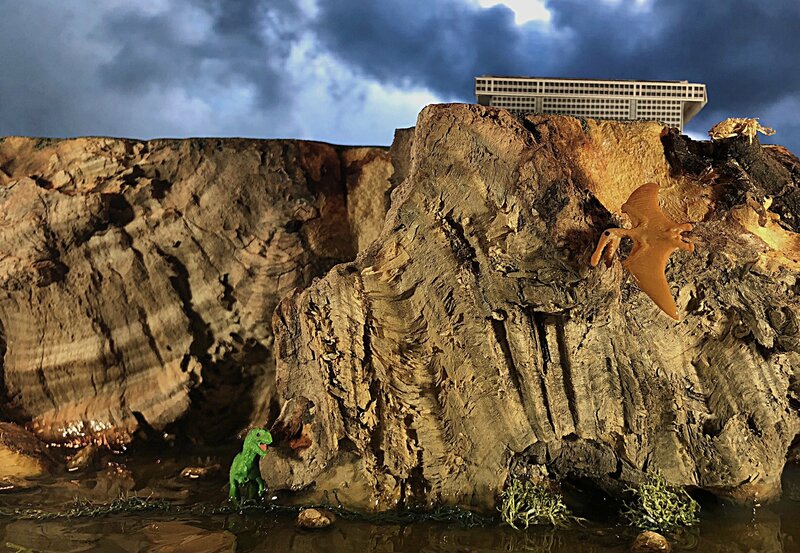 See our review of the incredible book Strange Worlds on the visionary dioramas of Matthew Albanese at https://midnightoilstudios.org/2018/07/31/the-illusionist/. 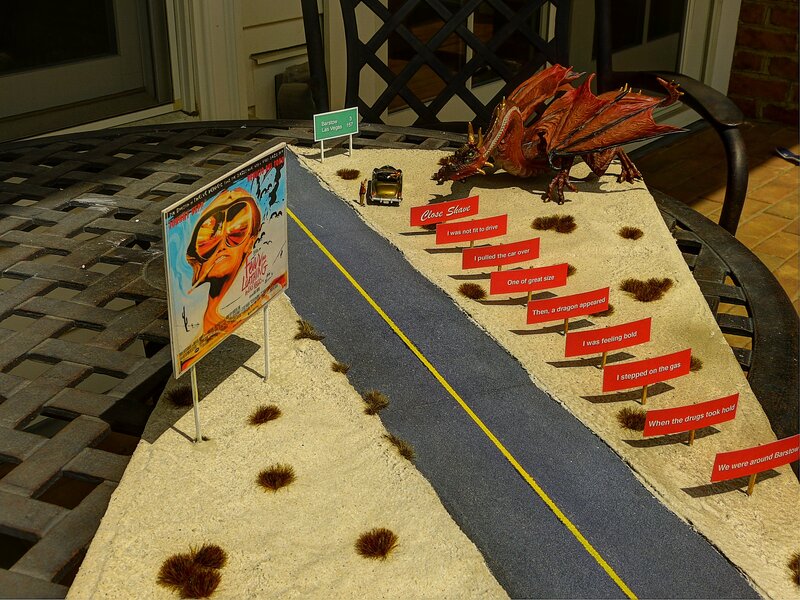 This dioramas is based on the opening scene from the 1971 book Fear & Loathing in Las Vegas. See our website at https://midnightoilstudios.org/2018/07/25/fear-loathing/ for background and to see how this was created. Matthew Albanese’s fascination with film, special effects and movie magic—and the mechanics behind these illusions—began early. Born in northern New Jersey in 1983, Albanese spent a peripatetic childhood moving between New Jersey and upstate New York. An only child, Albanese enjoyed imaginative, solitary play. He loved miniatures and created scenarios intricately set with household objects and his extensive collection of action figures. After earning a Bachelor of Fine Arts degree in Photography at the State University of New York, Purchase, Albanese worked as a fashion photographer, training his lens on bags, designer shoes and accessories—this small-object specialization is known in the retail trade as “table top photography.” Albanese’s creative eye soon turned to tabletop sets of a more wildly eclectic nature. In 2008, a spilled canister of paprika inspired him to create his first mini Mars landscape. More minute dioramas—made of spices, food and found objects—followed. In 2011, Albanese was invited to show at the Museum of Art and Design of New York. His work has also been exhibited at the Virginia Museum of Contemporary Art, Winkleman Gallery, and Muba, Tourcoing France. Matthew is represented at Bonni Benrubi Gallery in New York. Thanks for the link Rusty. Few would argue that Sheperd Paine was the greatest modeler and dioramist of the modern world. His amazing figures and models appeared as photos on model kits and motivated an entire generation of model-makers. His ideas about what could be done with dioramas opened up entire new areas to model-making and revived the old art-form of box dioramas. In chapter fourteen titled “Shadow Boxes,” Paine notes “A shadow box is a diorama set into a box and viewed through an opening on one side.” It’s effect, is “essentially that of a three-dimensional painting.” He observes the shadow box is the ultimate form of the diorama “because of the degree of control over all aspects of the display that a shadow box affords the modeler.” As he says, “In a shadow box, you can dictate the viewing angle, lighting conditions, and, most important, the atmosphere and mood of the scene.” In the chapter, he offers a great introduction on lighting methods for illuminating the inside of the shadow box. Perhaps the main thing that separates the type of shadow box Shep Paine talks about from the school “shoe box” shadow boxes most of us have made is the requirement of using two boxes: an outer box and an inner box. The inner box contains the scene and the other box contains the lighting for the scene. The other key chapter of the book is chapter seventeen titled “Mirrors, Forced Perspective and Other Special Effects.” In this chapter he discusses techniques for creating special effects inside shadow boxes. Interestingly, he compares this activity to that of making films. As he says, special effects “allow the frustrated movie director that seems to reside in all of us to come forth and work out his fantasies on a little sound stage of his own, without the frustrations of dealing with a cast, crew and multi-million-dollar budget.” He discusses areas such as creating fire and explosions, using forced perspective and employing mirrors in shadow boxes. In the almost twenty years since Paine wrote How to Build Dioramas, his thoughts and ideas on them continued to evolve as those creating them grew. Shep passed away in 2015 but his legacy is stronger than ever. 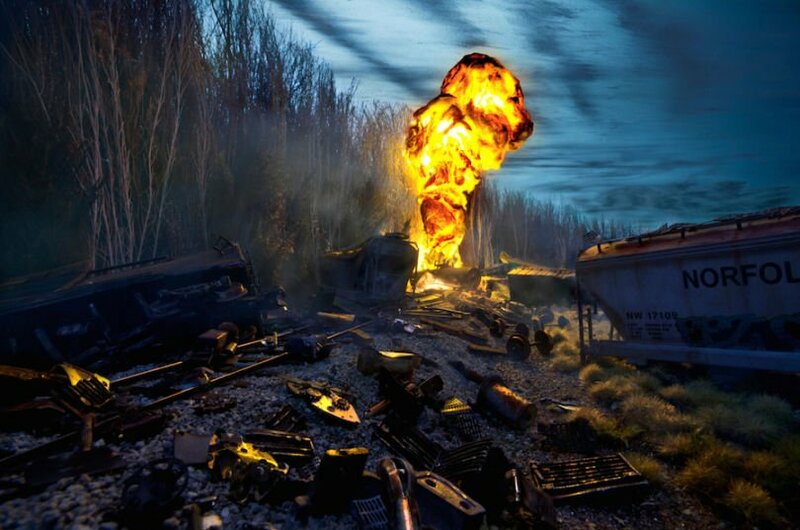 This is powerfully evident on the incredible website Box Dioramas. where works of leading box dioramists are collected. While numerous modeling styles and themes are displayed on the site, most all box dioramists acknowledge inspiration or mentorship from Sheperd Paine. Another way of saying this is that box dioramas – like film sets – allow one to create illusions by creating atmospheres and moods. This ability to create illusions seems to me the most important and enduring aspect of box dioramas. While the models and figures inside boxes are certainly important, the aspect of control over the atmosphere and mood of the box is most important. In effect, perhaps the best way to view box dioramas is by seeing them as desktop film studios rather than simply contexts for models and figures. Like a box diorama, a film studio also is composed of two boxes: an outer box containing the lights and special effects and an inner box or scene containing the characters and action of a scene in a story. 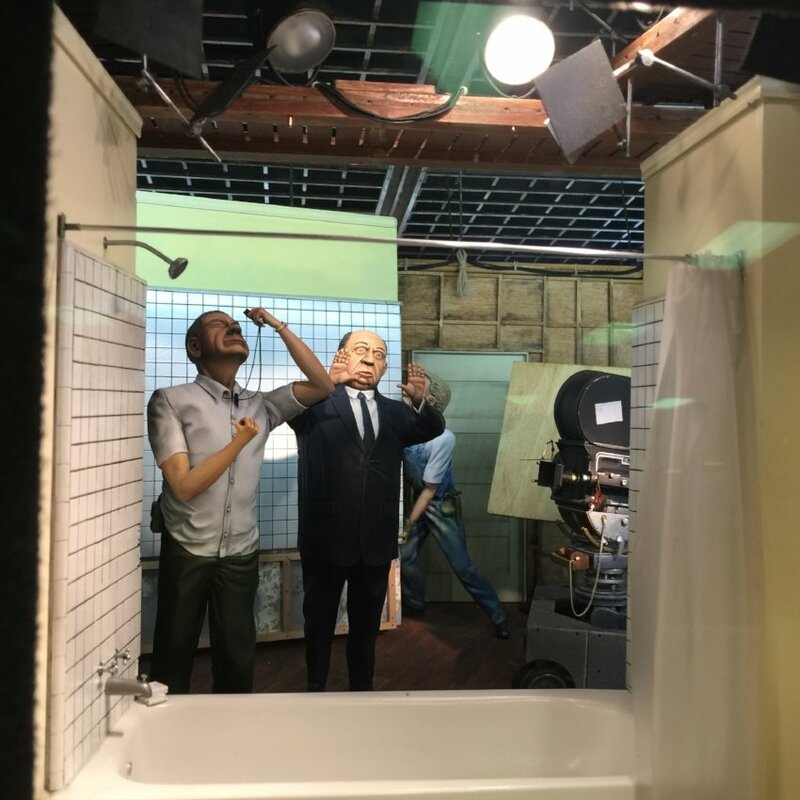 The connection between the two forms of art – filmmaking and box dioramas – is very obvious yet seldom explored by box dioramists. With each new project, a new outside box (or film studio) is created to go with the inside box scene inside of it. However, what if a larger box is created that could be used over and over for various scenes inside of it? In effect, the outside box would have rigging on its top and sides similar to the set-up inside of a production studio. Lights could easily be hung from strips of metal of wood at the top and sides (and bottom) of the box diorama. The outside box might even resemble the inside of a sound stage at a film studio. Rather than build and rebuild it for each inner box, it would simply be “rigged” for a particular box diorama scene which is photographed (or filmed) and removed. The lights and effects of the outside box would then await a new box diorama scene to be placed inside of it. In much the same way that a production set is knocked down after a scene in a movie. The real product of box dioramas created in set outer box studios is not a final diorama for display but rather a photo (or photos) of the diorama using the special effects in the outer box. Its fate is the same fate of a scene in a film that lives on in an image rather than a physical form. Yet images today are able to spread much farther and faster than diorama models confined to modeling shows, museums or personal collections. There have been huge advancements in lighting technology since Shep’s 2000 book. There have also been incredible advancements in sound with the advent of Bluetooth devices. A box diorama desktop film studio becomes a real and exciting possibility. Not only can scenes and sets for stage plays and films be planned with this new tool, but the art of box diorama and “thinking inside the box” be taken to new levels of illusion. In the almost twenty years since Paine wrote How to Build Dioramas, his thoughts and ideas on them continued to evolve as those creating them grew. Shep passed away in 2015 but his legacy is stronger than ever. This is powerfully evident on the incredible website Box Dioramas.Com where works of leading box dioramists are collected. While numerous modeling styles and themes are displayed on the site, most all box dioramists acknowledge inspiration or mentorship from Sheperd Paine. 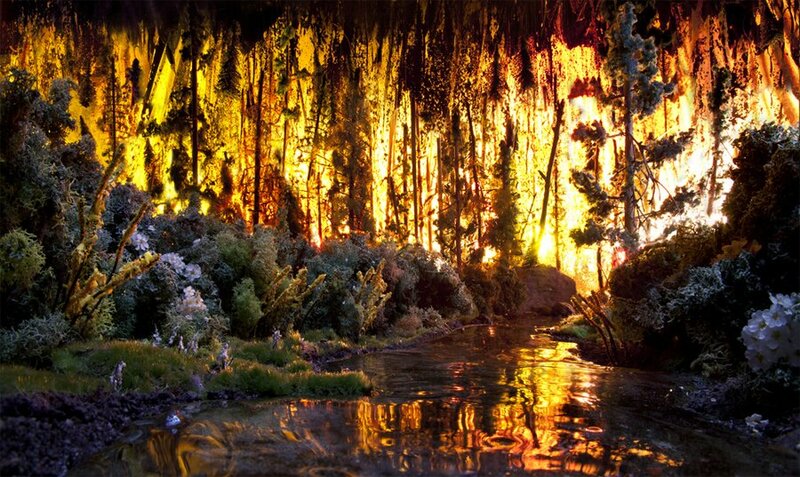 Another way of saying this is that box dioramas – like film sets - allow one to create illusions by creating atmospheres and moods. This ability to create illusions seems to me the most important and enduring aspect of box dioramas. While the models and figures inside boxes are certainly important, the aspect of control over the atmosphere and mood of the box is most important. In effect, perhaps the best way to view box dioramas is by seeing them as desktop film studios rather than simply contexts for models and figures. 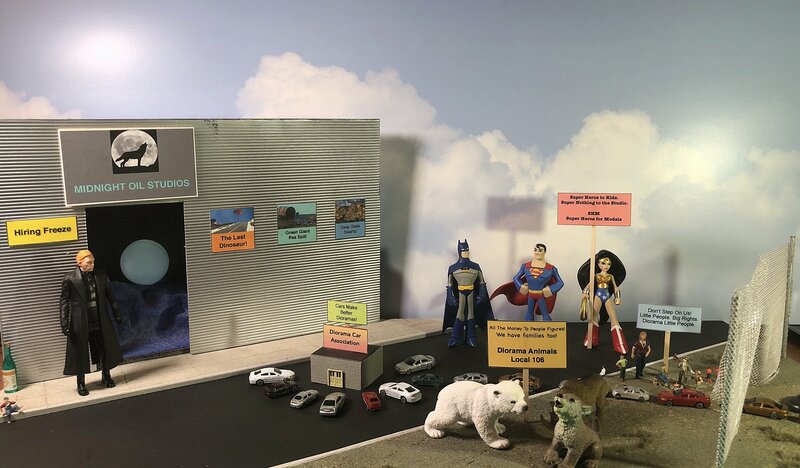 The connection between the two forms of art – filmmaking and box dioramas - is very obvious yet seldom explored by box dioramists. With each new project, a new outside box (or film studio) is created to go with the inside box scene inside of it. However, what if a larger box is created that could be used over and over for various scenes inside of it? 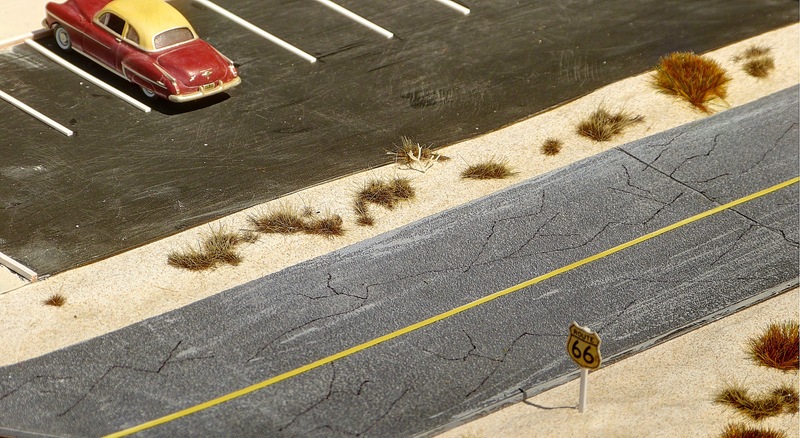 One of the benefits of creating box dioramas is the ability to control perspective. The topic of forced perspective is covered in both Shep Paine's How to Build Dioramas and Ray Anderson's The Art of the Diorama. In my diorama Witness, I attempted to create forced perspective outside the "box" so to speak. 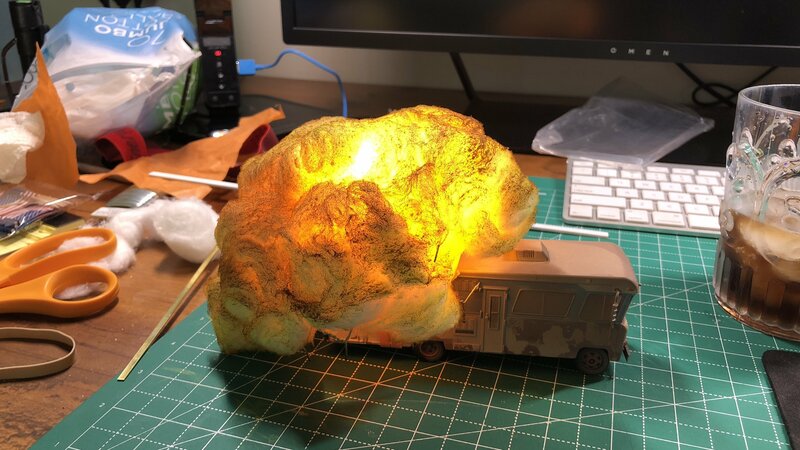 The diorama was inspired by the movie Close Encounters of a Third Kind and a modeling theme of my particular IPMS chapter to create something from the movies. I envisioned a witness to the event who has pulled his car off the highway in the mountains and observes a roadblock on the highway below and below that (on the desert floor) the alien craft by the highway with two army tanks next to it. But above this witness, is another witness who is on a desert dirt bike and spies on him through a pair of binoculars. 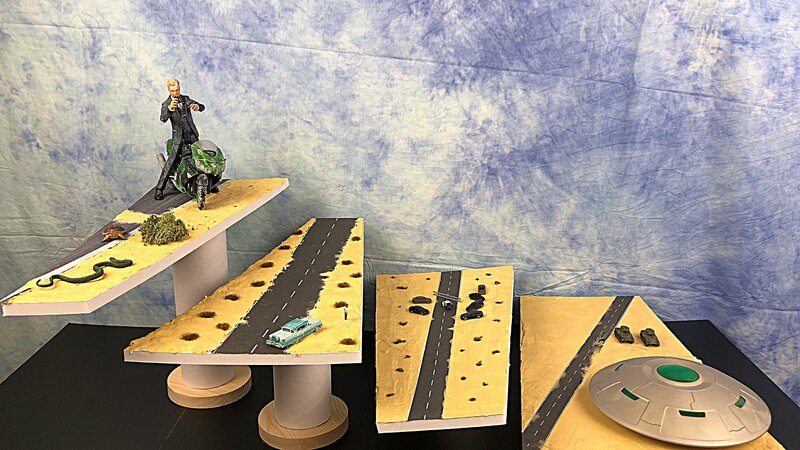 The diorama is on four levels which represent four scales: 1/12 for the man on the dirt bike on the top level of the diorama, 1/87 HO scale for the witness who has pulled off the road on the next level, 1/160 N scale for the government roadblock on the next level and 1/220 Z scale for the tanks and the huge alien craft. 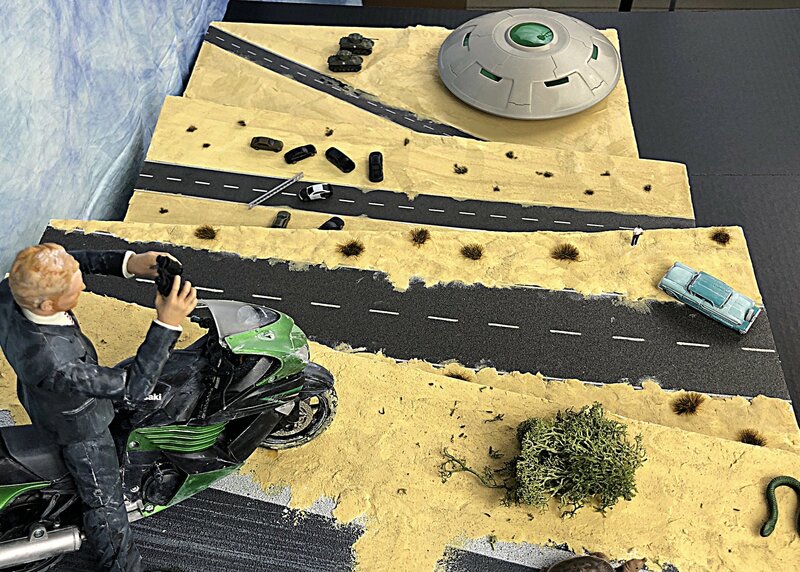 The viewer looks at the diorama from the perspective of the 1/12 scale man on the dirt bike and sees the cars and highway become smaller and smaller as it is farther in the distance. Below is a side view of the various levels and the view from the viewer's perspective. An "out of the box" experience! I've been using HDR for a number of years. Here is an outside photo I made of one of my models. You have to be careful not to overdo in Photomatix Pro. 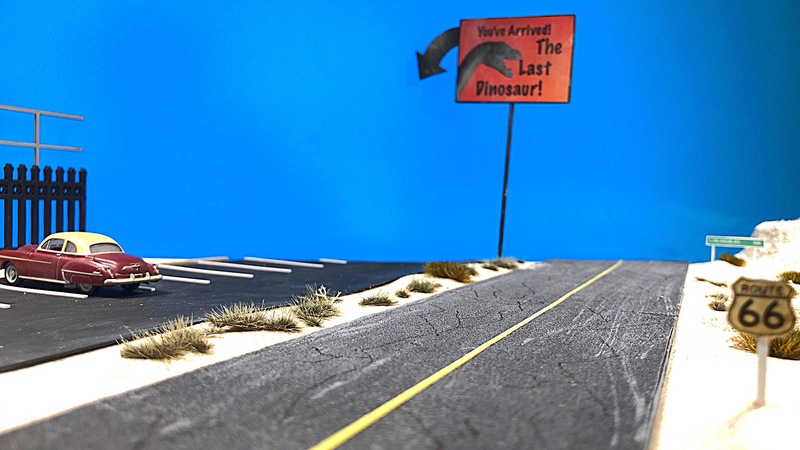 See outher HDR photos of dioramas I've made at https://midnightoilstudios.org/dioramas/. Some HDR, some are not. Thanks for the note Dave. One of the secrets of this method is stretching the cotton over the chicken wire rather than simply pushing cotton balls into the wire. Also, be sure to build your wire cage over your model first and not simply try to add it last. In my reference to Bjorn Jacobsen above, he advises to use LED lights that plug into an outlet as these are the ones with the most power. However, I have found that LED lights from something like a light on a headstrap work just fine. I used these in the above explosion. I make dioramas and photograph them all. You can see a number of my diorama photos at https://midnightoilstudios.org/dioramas/. While I have a good SLR camera and often shoot using High Dynamic Range, I have found that my iPhone 8+ using the ProCamera app gets great photos. 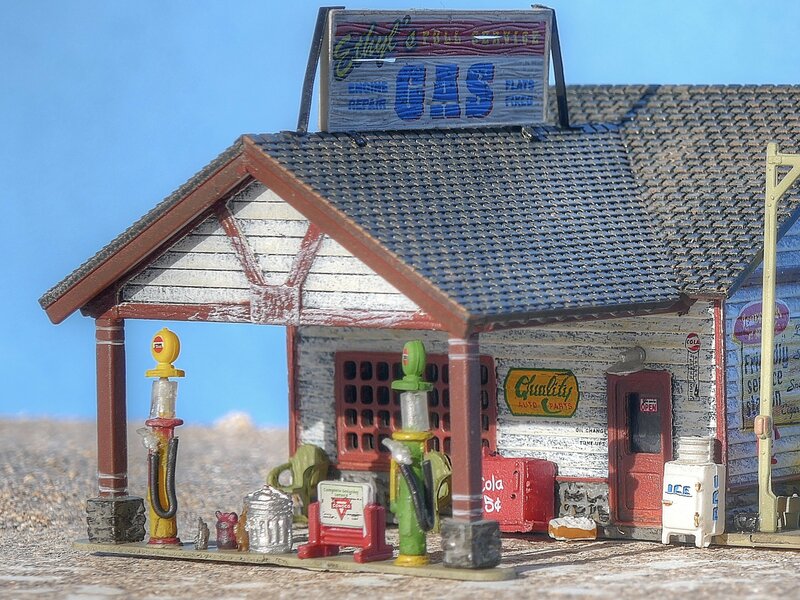 One of the most interesting techniques I use is photographing dioramas against my computer screen from photos I've taken or ones downloaded from Google images. 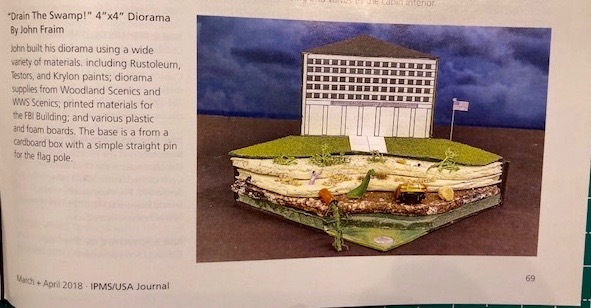 For example, the shot below is titled Deep State Swamp and features a model of the FBI Building on a piece of Burl Wood with a Woodland Scenics created swamp at the bottom and a cloudy sky in the background. The sky is on my computer screen and downloaded from Google Images. Have many other photography techniques I'll be sharin,g in future posts. in Welcome to the Forum! Relocated to Ohio from California and joined the Colmubs chapter of IPMS. I create dioramas that comment on pop culture. More info in my profile.